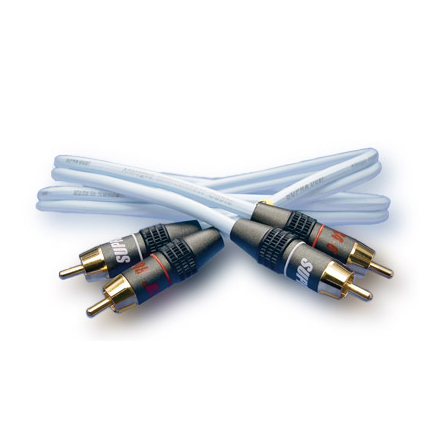 Supra Dual is a dual in-line cable for primarily single-end interconnections. It displays in spite of its pricing the typical Supra trade marks of efficient aluminum foil shielding and low capacitance allowing good noise rejection and fast transient response. It will typically fit as an analogue interconnect in an entry level hifi system and thus raising the audible performance noticeably. A value-for-money test winner, that will replace the supplied original sub-standard hifi system interconnects and leave you hours in sweet spot re-discovering your music collection. Use e.g. between CD-player and amplifier or any other interface where an analogue stereo interface is required. Provided in standard issue with SUPRA RCA-6 connectors. Can optionally be supplied with other suitable Supra connectors at an additional price.